Previous Best PUBG Mobile Controller For Android/iOS?? Flydigi Wee 2 Review!! 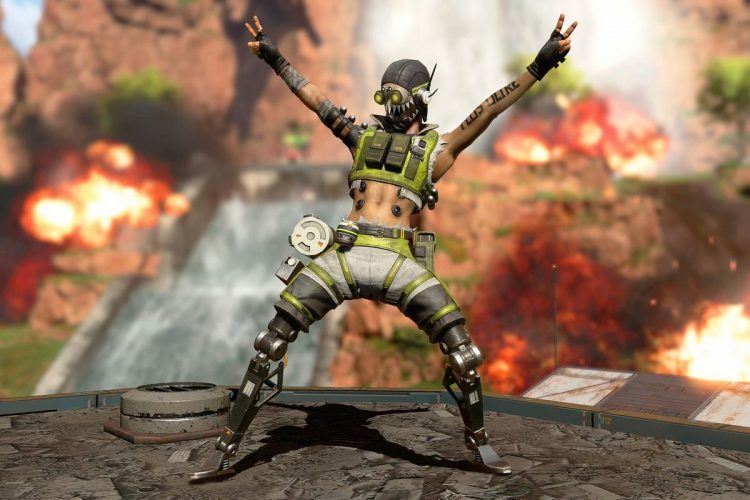 Apex Legends has been on the news ever since it made its debut, in the first month itself the game reached over 50 Million and hence breaking tons of records already made by other BR games. Upon launching the game, the developer Respawn had mentioned that the company has big plans to reveal their first ever Battle Pass and they want it to be legendary, so they did not just launch the battle pass, they also introduced to us a new Legend. The Legend, Octavia Silva, otherwise known as Octane is yet another legend looking to become ” the Apex Champion” *insert announcer voice here*. That’s a joke you’ll get if you’ve been drooling over the game like me for the past few weeks. Well, taking a closer look at Octane’s history, he is amused by everything, and he loves running, the record-breaking gauntlet managed to blow off both his legs which had to be replaced by robotic legs later on, which did not stop him but instead encouraged him to be more of a Legend. Octane’s ability is to swap health for a boost of speed which when coupled with his supply of Stim health regeneration just becomes very much reliable. Also, his ultimate ability is one of its kind, Apex has been very smart in laying down clues for the players to catch by laying down Launch Pads which is the Ultimate of Octane. The launch pads help him travel through the map more efficiently. The first ever Battle Pass from Apex is very simple and yet it comes bearing gifts. The game wants the people to get the hang of it and still continue learning it. They’ve included bonus gifts which will be available to players along the timeline. The players will continue receiving rewards on each path of their experience and they will also receive rewards accordingly. Also, they’ve included new weapon skins as well as Legend skins. The “Silver Storm and Golden Idol” Legendary Skin For Havoc will be available alongside some Epic and Legendary Apex Packs and XP Boosts. The Wild Frontier themed Legend skins will be available for Lifeline, Wraith, and Mirage with their Revolutionary, Survivor and Outlaw skins going live from today respectively. One thing to keep in mind, just like other BR games and their battle passes, the cosmetic rewards which will be earned through the Pass will be exclusive to that particular season and won’t be available again. Apex has priced the Battle Pass at 950 Apex Coins which can be brought from the in-game store as soon as the players purchase it they will be gifted with the Wild Frontier-themed Legend Skins as mentioned above. 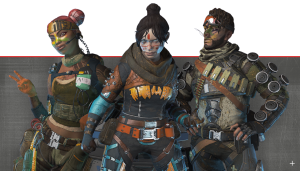 If the players are able to complete missions provided to them and they reach the end of Battle Pass, they will also earn 1,000 Apex Coins alongside some cosmetic rewards. Just Like PUBG, Apex also has a Battle Pass Bundle pack which can get the player to unlock the first 25 levels with rewards at 2,800 Apex Coins. 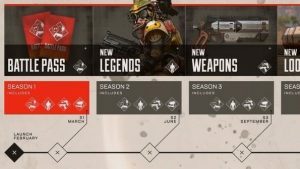 To Enjoy the Battle Pass Season 1, players do not need to buy the pass, they will be provided with a Wild Frontier Legend Skin along with Five Apex Packs and 18 Wild Frontier Stat Trackers, so it’s a Win-Win situation for both the pass holders and others who won’t be able to get their hands on it.